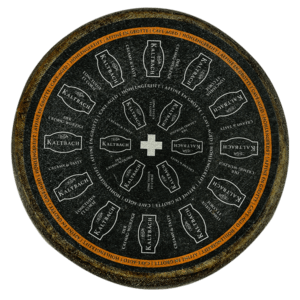 This is the original Swiss cheese, world famous for its distinctive holes and singular flavor. 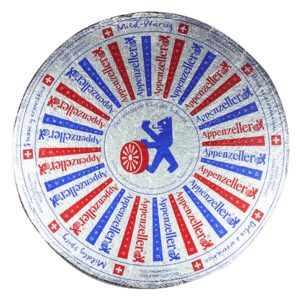 First produced more than eight centuries ago in the canton of Bern in the valley of the Emme River, Emmentaler AOP is still made in 200-pound wheels. 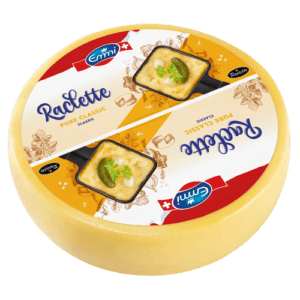 This endlessly popular cheese is known as the king of cheese, and plays an essential role in Swiss communities and on American tables everywhere. 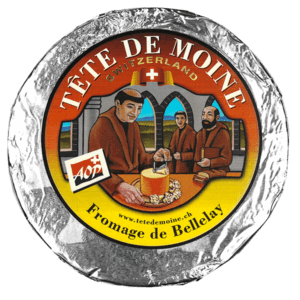 The king of cheese is made in 200-pound wheels from fresh, raw milk produced by grass-fed cows on family farms. 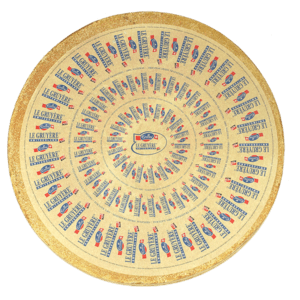 Expert cheesemakers then age it for a minimum of 120 days in the microclimate of the Emmi cellars. 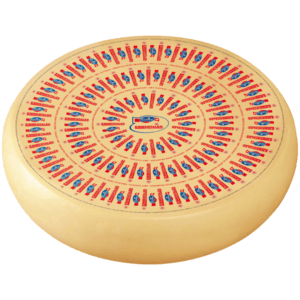 Firm yet supple, Emmentaler AOP offers a nutty flavor with slight acidity and just a hint of herbs. 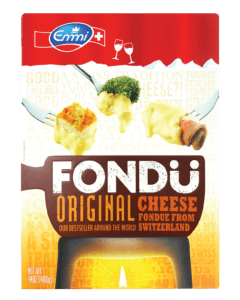 Serving Size 1 oz (28g), Servings Per Container: Varied, Calories 110, Total Fat 9g (11% DV), Sat. Fat 5g (26% DV), Trans Fat 0g, Cholest. 25mg (8% DV), Sodium 50mg (2% DV), Total Carb. 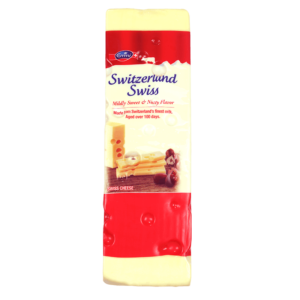 0g (0% DV), Fiber 0g (0% DV), Sugar 0g (Includes 0g Added Sugars, 0% DV), Protein 8g, Vitamin D mcg (0% DV), Calcium 290mg (20% DV), Iron 0.1mg (0% DV), Potassium 20mg (0% DV). * % DV = % Daily Value. CONTAINS MILK. KEEP REFRIGERATED.